This is pretty crazy. 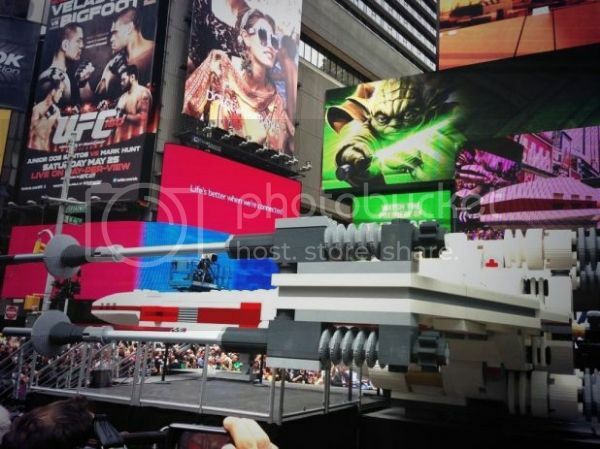 The folks at Lego just unveiled a one-to-one scale replica of the Star Wars X-Wing Starfighter in Times Square. Built to promote The Yoda Chronicles on Cartoon Network, the X-Wing contains a truly astounding 5,335,200 Lego bricks and weighs 45,980 pounds! More fun facts... the model has a 44 foot wingspan and took 32 builders 17,336 hours (or 4 months) to construct. 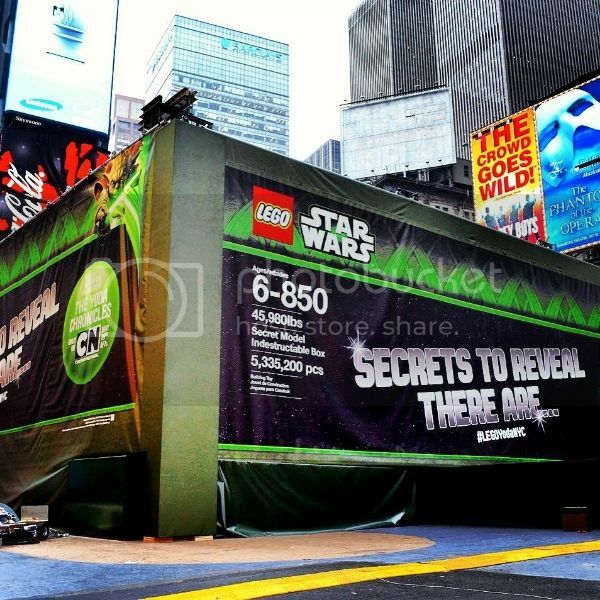 Lego's PR team says the model was heavily engineered to withstand all the transportation, setup/break down and to ensure it was safe for Times Square given the subway system below and California's seismic requirements for the LegoLand California Resort installation, where it will head next.